Do you find yourself tossing and turning at night with thoughts about the next day racing through your head? Do you sometimes need to take a sleep aid to find a way to settle down and get comfortable? Everyone’s sleep needs vary, but one common factor can help send people to dreamland: a better mattress. When times are stressful and life’s issues are keeping you up, the occasional sleeping pill can help you get the rest you need. However, if you’re consistently finding it difficult to get to sleep, you’re not alone. A recent study by the CDC revealed that over 9 million Americans use prescription sleep aids. The reasons as to why so many people have difficulties sleeping weren’t investigated, but all ages and genders weren’t immune to sleep problems. There are definitely legitimate health conditions that make sleeping difficult without prescription medication. In these cases, it’s important to work with your doctor to help get the rest you need. However, if you’re finding that you’re waking up with back or neck pain, or if the poor structure of your mattress makes it hard to relax, your mattress may be part of your sleep issues. Many people with sleep problems fight the symptoms of sleeplessness with medications without looking at the root cause. However, if you’re a stressed out student trying to catch some z’s on a flimsy dormitory mattress that pinches your sides with springs, you should look at one of the most basic sleep fixes: your bed. Couples that spend night after night rolling into each other because their cheap mattress has caved in on them can bicker and banish one party to the living room couch, but neither a sofa or sloped bed can provide the support you need for restful sleep. Will align your spine to relieve neck and back pain and give proper sleep support. The right mattress will be an investment that will give you great returns on comfort, your health, and your sleep quality. Good mattresses are worth their weight in gold. Replacing your poorly-made mattress is a great place to start to rule out any underlying sleep problems. Gardner Mattress has been crafting mattresses since 1933 and we know what makes a comfortable mattress. 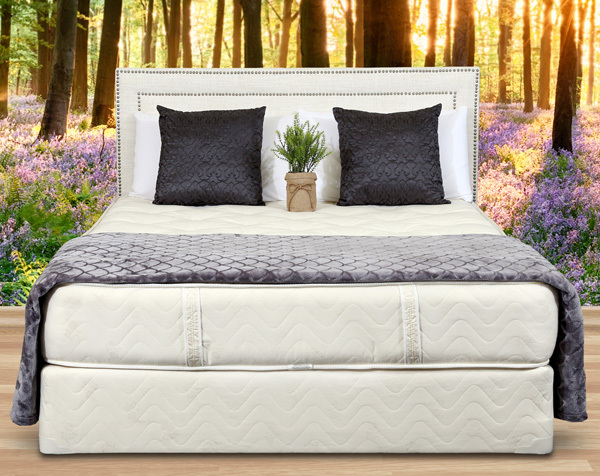 If you deal with back pain, neck pain, and insomnia from a bad mattress, try one of our handmade, organic mattresses and feel the difference a quality can make in your sleep. at 1-800-564-2736. Next article	Does How You Sleep Give You Clues to Your Health?